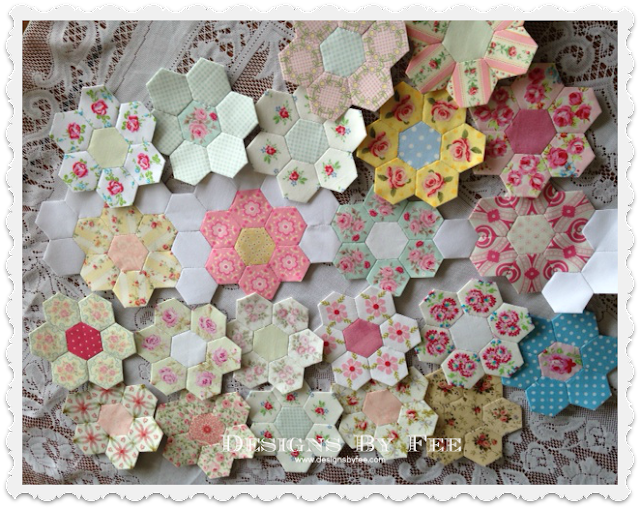 Quite some time ago I began a Hexagon flower garden quilt using some lovely shabby, pastel fabrics. I started putting them together and then as other projects came along and life got in the way it was boxed and put away in a cupboard. I have been playing around on Instagram for a few months now and love the community over there. Many are bloggers but I have also met some lovely new ladies too. It's such a fun inspirational place to be and I have joined a few swaps as well. One swap that I joined in the past week is a hexy flower swap. 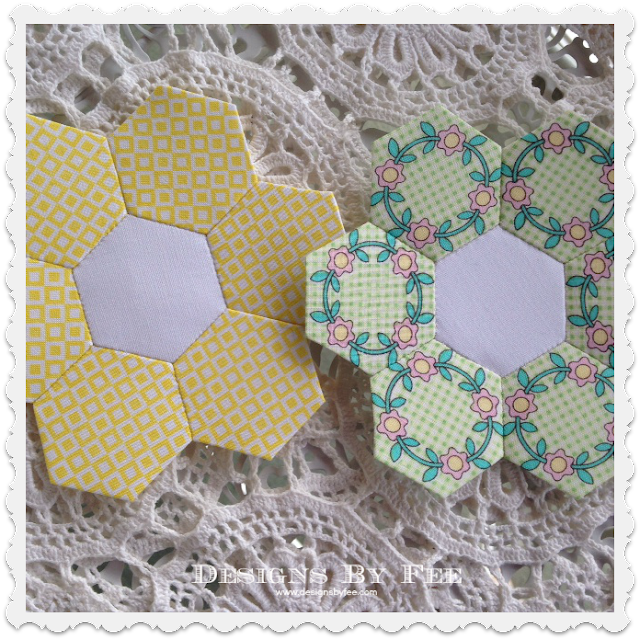 There are 18 people in my group and we need to make 2 flowers per person in their chosen colours. So once the list was released on Thursday I set about getting a start on my list. 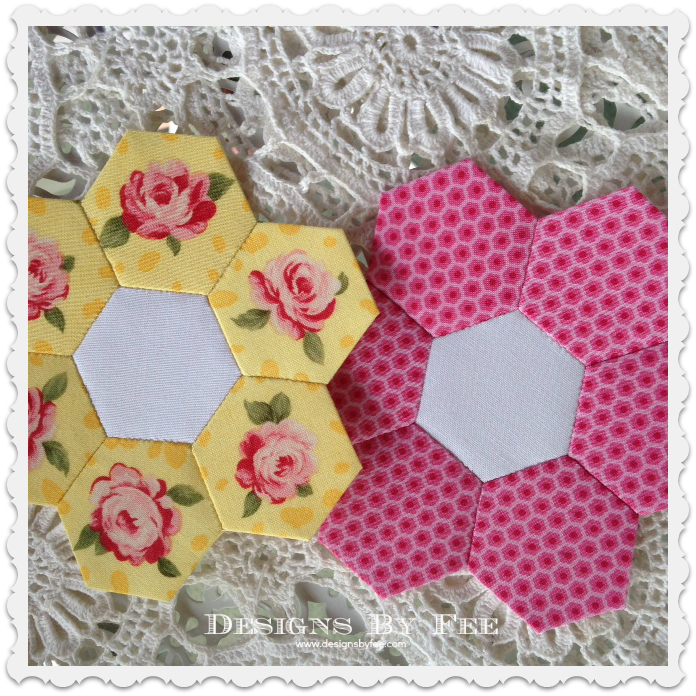 It's a great way to meet new friends and also a great way to get some lovely new hexagon flowers in different fabrics. 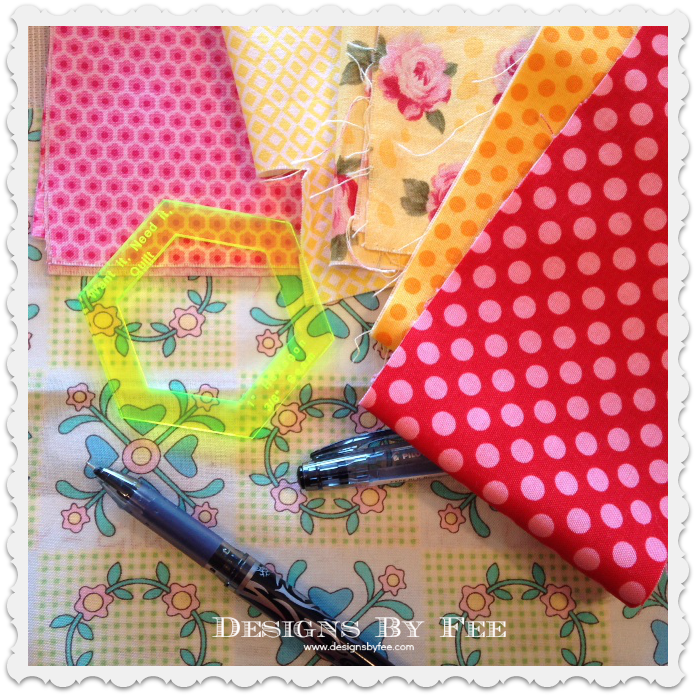 It has been so much fun choosing colours and prints for my partners. I hope they like them. 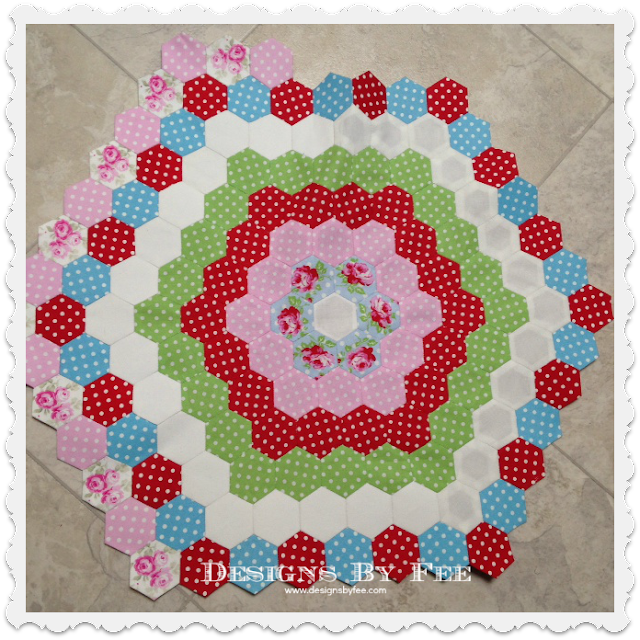 All of this hexie talk made me get out an old favourite to do some more work on. It's been a long time since I did any work on this. I am leaving it out so that I can get inspired to do some more. 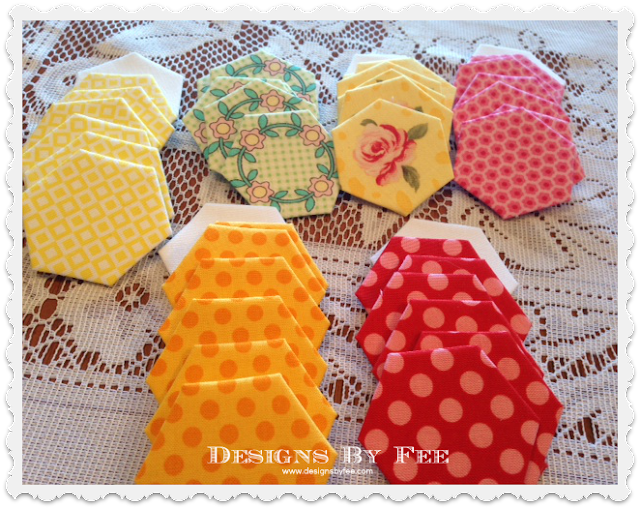 Talk about hexie fever - I have been hit big time ! Your flowers are lovely, Fee.